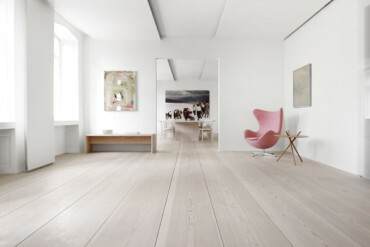 Dinesen HeartOak floor planks create a cozy atmosphere in a holiday home on the island of Funen. In the bungalow by Billund Hansen architects, the natural material wood creates a cozy atmosphere. 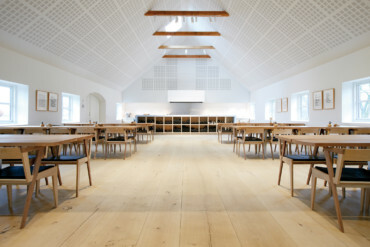 In the far northwest of the Danish island of Funen lies the small village Strib. 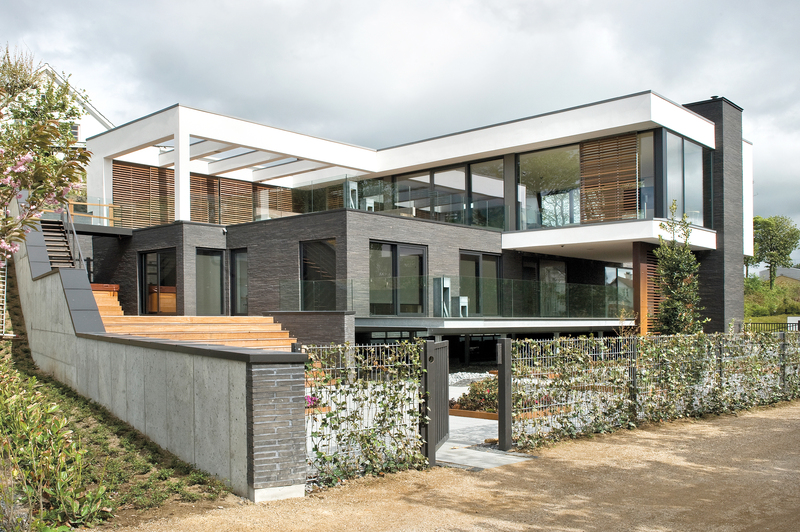 It’s here that Billund Hansen Architekten have built a spacious L-shaped bungalow close to the beach, with a broad glass façade, white-painted walls and cedarwood cladding, creating a stark contrast with the gabled roofs of the typical houses on the island. 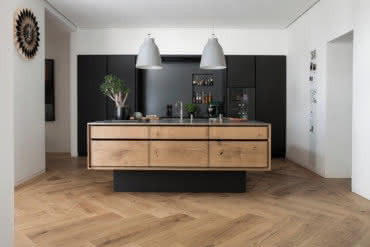 The raw timber for the planks came from 200-year-old oak trees and thus brings a particularly powerful radiance. 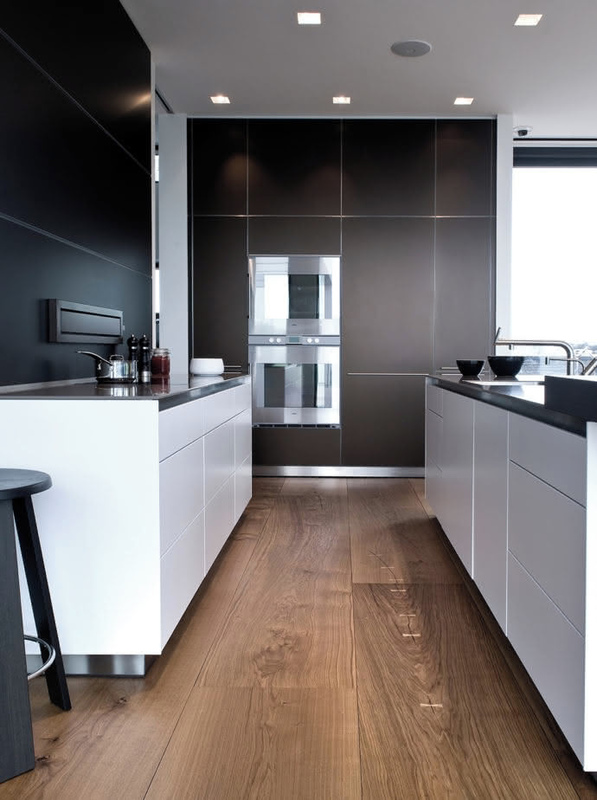 The natural cracks in the oak planks have been preserved and are fixed with loop-shaped inserts. 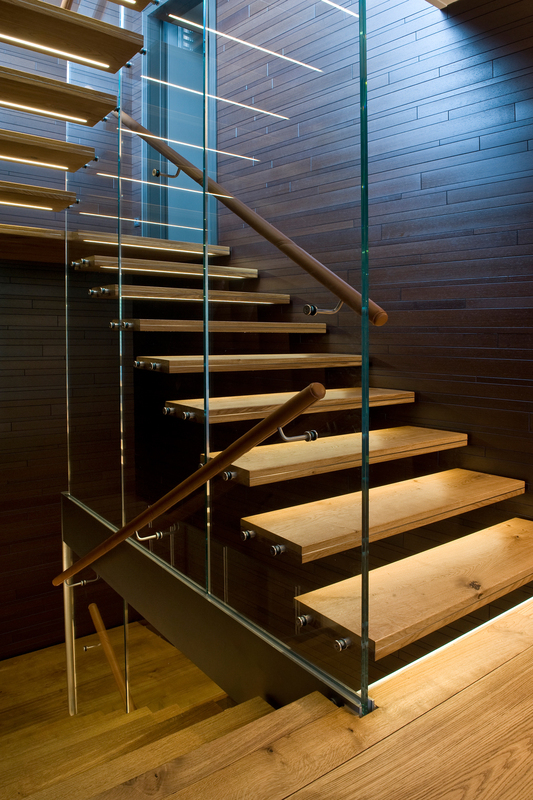 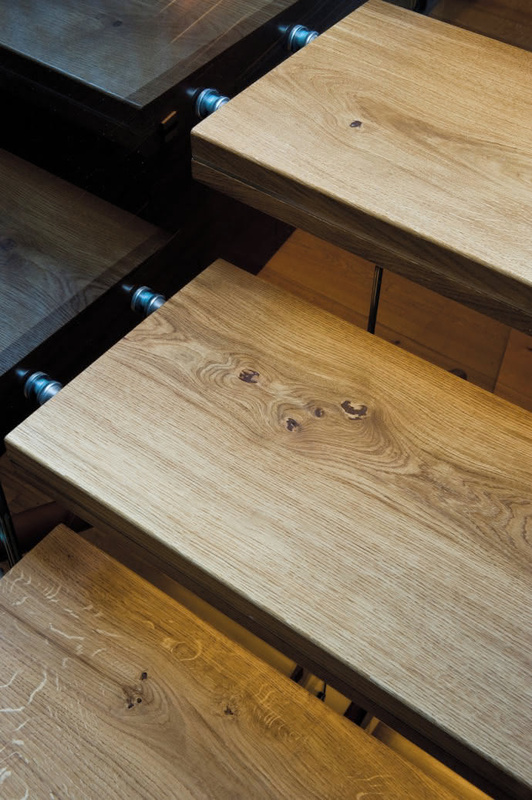 Thanks to their durability the oak planks could also be used for the treads of the staircase. 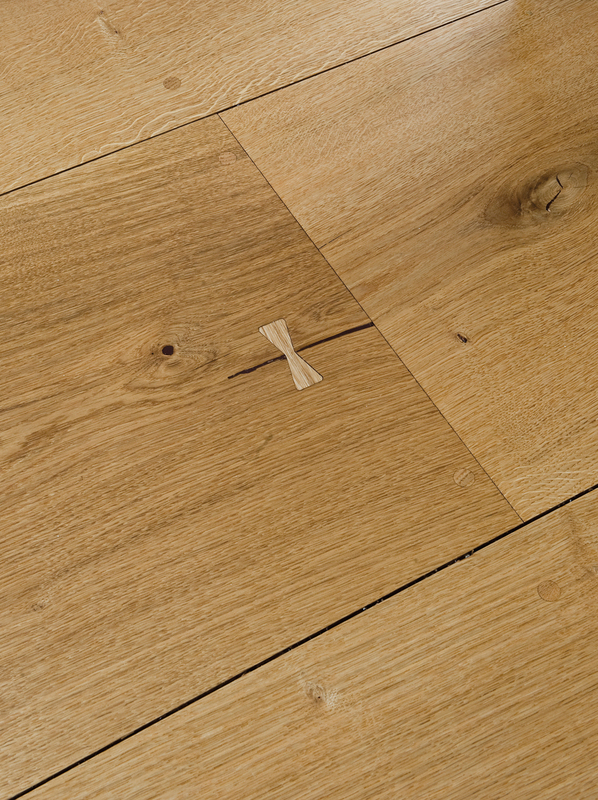 With a finish of natural oil the original charm of the wood and its pleasing appearance have been preserved. 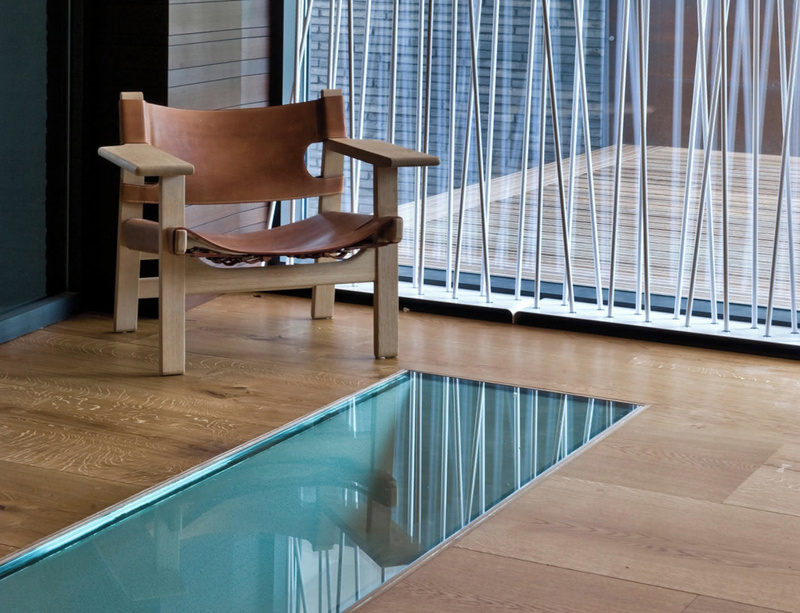 Glassfloor inserts provides transparency between the rooms. 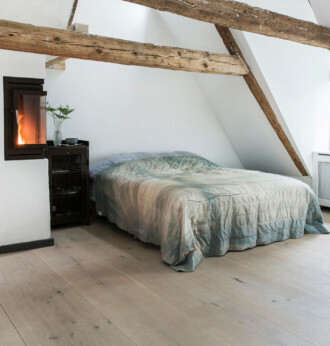 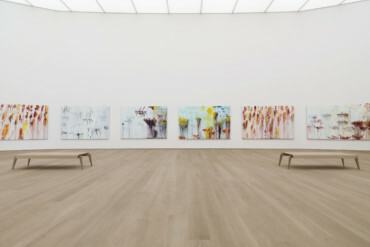 Dinesen has outfitted an old Copenhagen blacksmith’s workshop that has been converted into a home with "HeartOak"-planks. 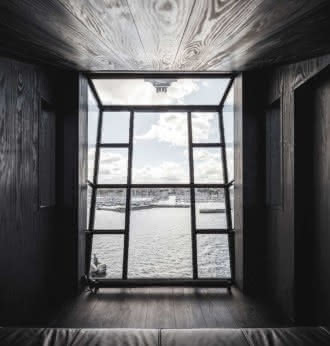 In Copenhagen’s North Harbor a new lease of life has been found for a former coal crane – in the form of a hideaway that doubles up as a show of Danish design prowess.